Jiangsu Honest Cable Co., Ltd. Honest Cable, a premier manufacturer of marine and shipboard cables, today unveiled its strategic plan for the year 2019. It is part of Honest Cable's effort to become the best marine cable manufacturer in China. Yangzhou, China, March 26, 2019 --(PR.com)-- Those in the shipbuilding industry can now order IEC, JIS, DIN, NEK, BS, IEEE standard marine cables. 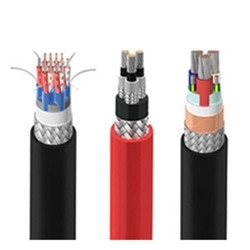 The marine cables featured are flame retardant, LSZH, and fire resistant. All cables are approved by ABS, BV, CCS, LR, NK, DNV-GL, RINA, KR, RS, BKI classification societies. This standard cable is for electrical installations on shipboards. As an international standard, IEC 60092-3 standard covers electrical and telephone cable to be used on shipboards and marine environment. The IEC 60092-3 cable types include MPRX, MPRXCX, LKSM-HF, LKM-HF, HF-CXOSA, CJPF/SC, CJ86/SC, CJPF96/SC, CJPJ85/SC, CHJ86/SC, etc. All the above marine cable types feature flame retardant, low smoke, halogen free. Fire resistant cable is also available. These are German maritime standards that are applied on marine ship cables. These include DIN 89158, DIN 89159, and DIN 89160. The German standard marine ship cable types are as follows: MGG, MGH, MGCG, MGCH, FMGCG, FMGCH. Honest Cable Co., Ltd. is a professional manufacturer of marine shipboard cable, ship cable, and industrial cables. As the best marine cable manufacturer in China, we focus on researching, developing and manufacturing offshore marine cable and shipboard cables. Honest Cable has already delivered marine cable wires to Singapore,Thailand, The Philippines, Indonesia, UK, New Zealand, Malaysia, Australia, Turkey, India, Greece, Italy, Jordan, Sri Lanka, Vietnam, Mumbai, Ho Chi Minh, Bangkok, etc. Jiangsu Honest Cable aims to provide a complete marine cable solution for clients. For more information about Honest Cable, contact via the information below. This is the ABS type-approval certificate for all Honest marine cable types, include electrical power cable, telephone cable and VFD cable. Click here to view the company profile of Jiangsu Honest Cable Co., Ltd.
Click here to view the list of recent Press Releases from Jiangsu Honest Cable Co., Ltd.